The tall one is my daughter, next to her my niece, then my grandchildren Alivia and Mason. Went to the pumpkin patch yesterday with the kids. It's a tradition that we started after Alivia was born seven years ago. It's always a nice day because it's something we girls, and now my grandson, do together. 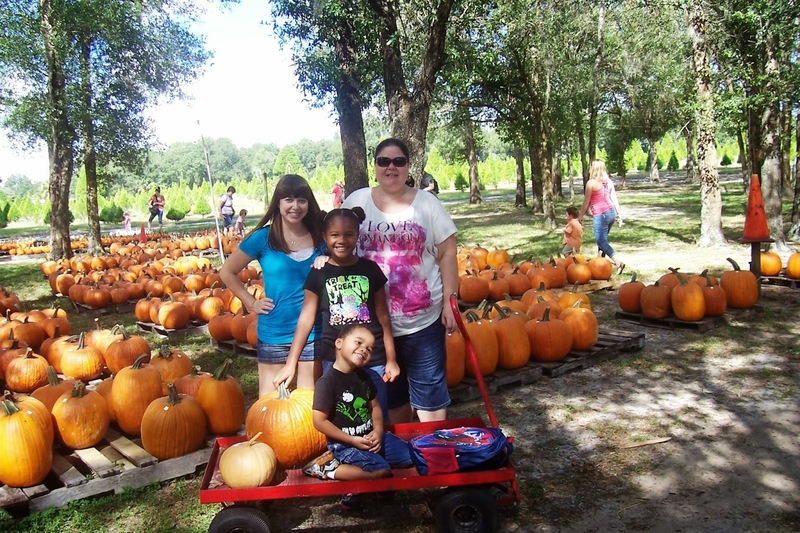 The first thing we did upon arriving was grab a wagon and pick out some pumpkins. I bought the biggest one so the grandkids can do a Jack-O-Lantern. 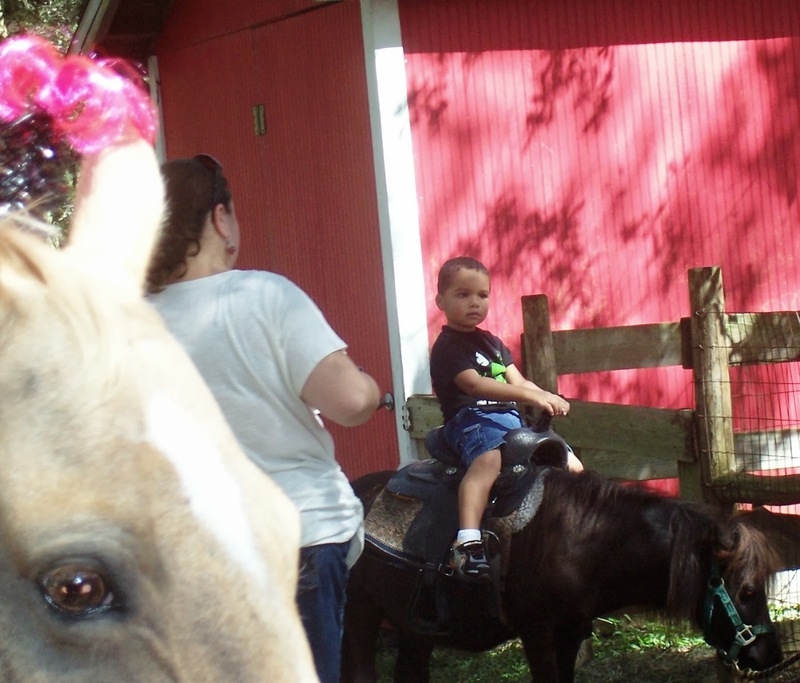 They had ponies for the little kids. Then the kids took a train ride around the grounds. They rode the horses, hit the bouncy house, and then rode the zip line three times. Mason, who won't be three until December, loved that! Last year we wouldn't let him go but he would have in a heartbeat. That kid knows no fear. It started to sprinkle just as we were leaving. We topped the afternoon off by stopping at Olive Garden for a late lunch. I'm telling you by the time we home, got our showers, I was exhausted. I hit the sack with Alivia at 8:30 and didn't know anything until 10:00 o'clock this morning! I'm sure the pain, and muscle relaxant pill helped. Slept good, maybe a little too long, but I needed it since I normally only get about six hours a night if I'm lucky. 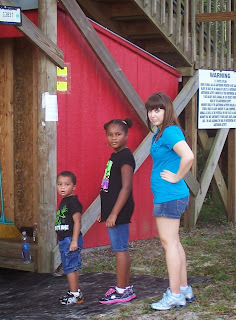 Mason, Alivia, & Alisha my niece, lined up for the zip line.